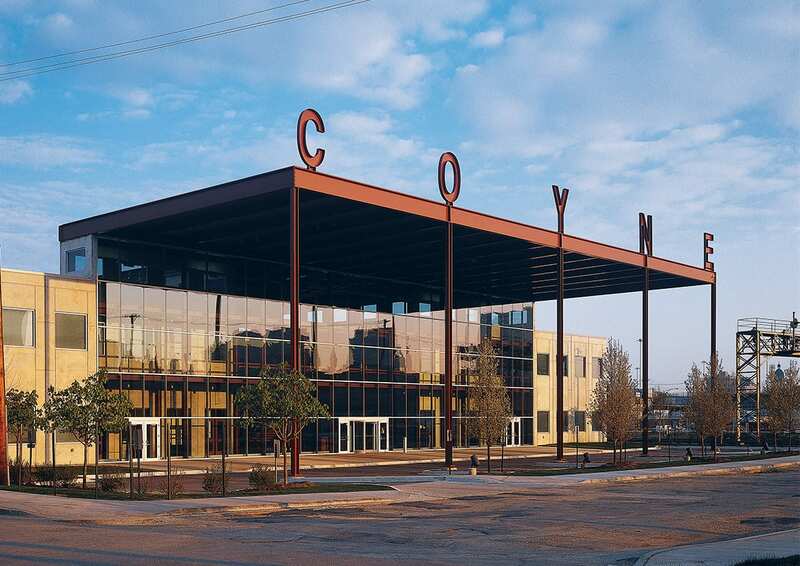 A leader in industrial education for over a century, Coyne College has long prepared students for careers in a variety of fields including electrical maintenance, air conditioning, heating, and more. 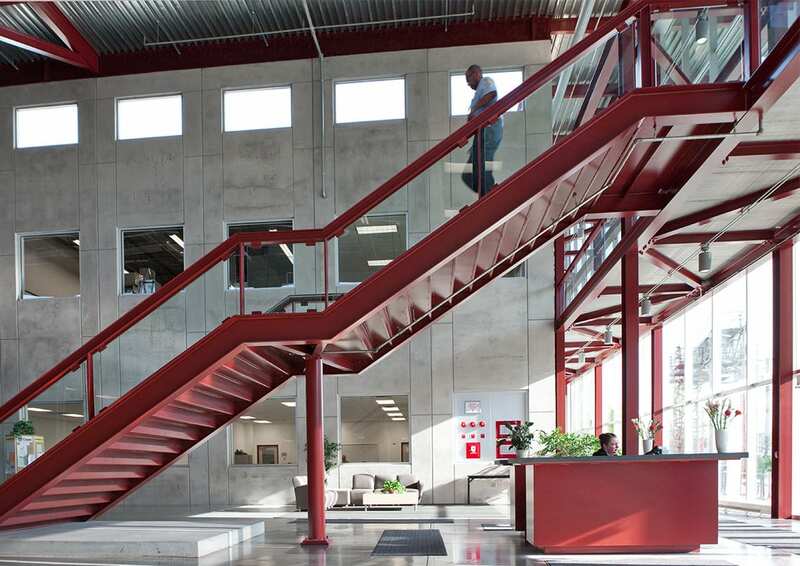 Growing enrollment required a modern campus for its students and faculty. 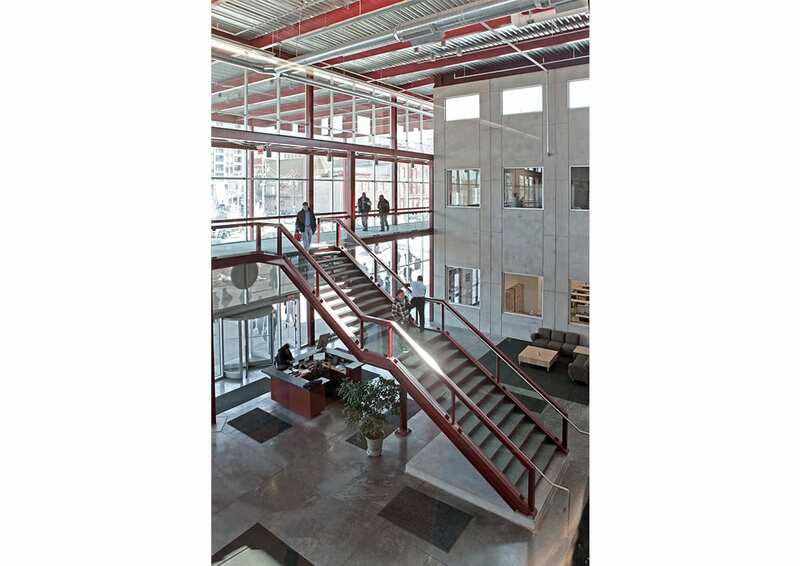 On two square blocks north of the Chicago Loop, a two-story multi-purpose facility was designed with a U-shaped plan that maximizes the site, providing space for classrooms and laboratories. 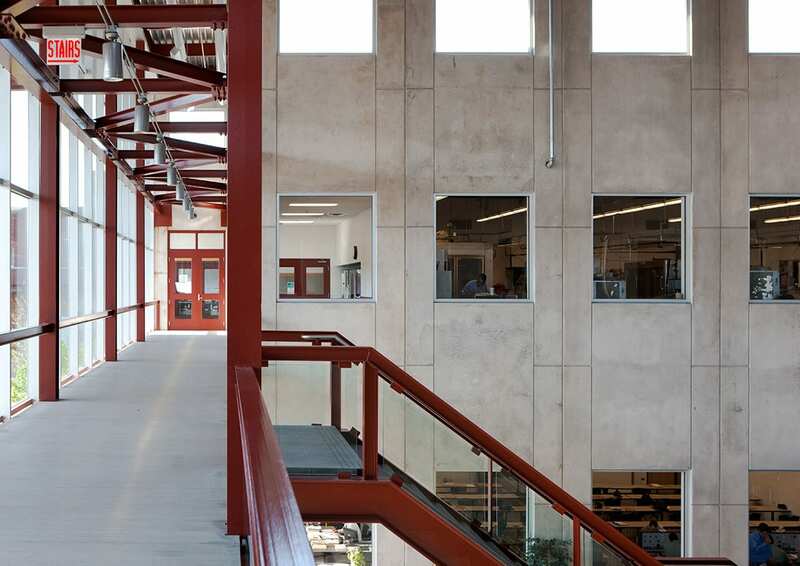 The building is a simple combination of pre-cast concrete and wide flange steel beams that creates spirited exterior and interior spaces, including an enclosed atrium exposed through a glass façade. 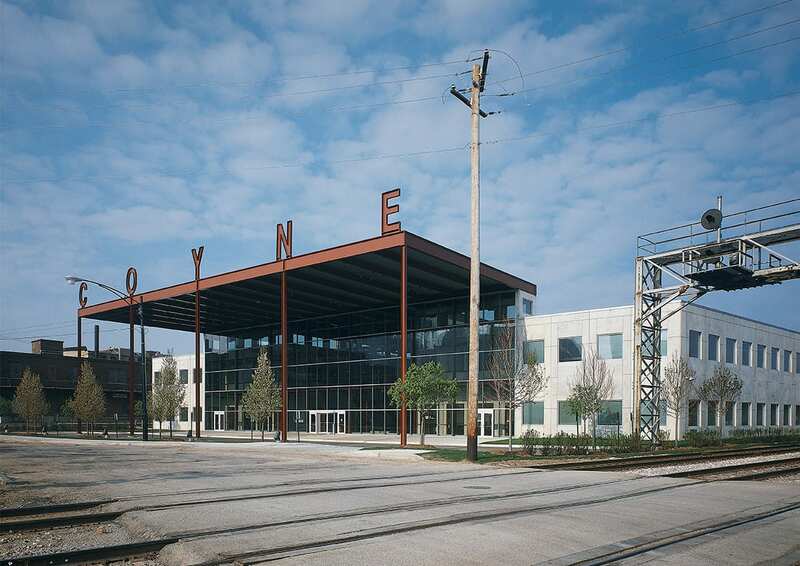 Outside, five columns support a canopy, while monumental steel letters advertise the school in its new location. Designing within aggressive budget constraints, Booth Hansen used basic materials and construction systems which minimized field labor. 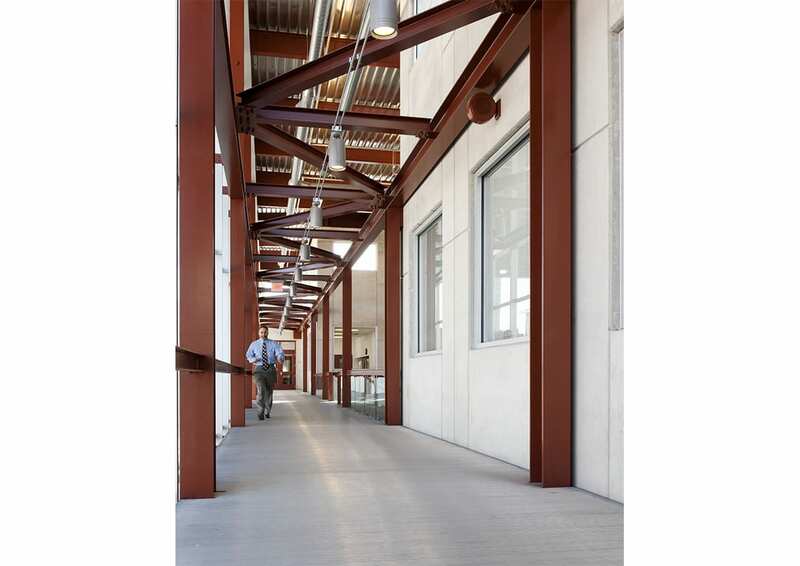 These materials are left unfinished and exposed, appropriate for a technical school. The dramatic signage unites with economical construction in a celebration of Coyne’s industrial history and future.